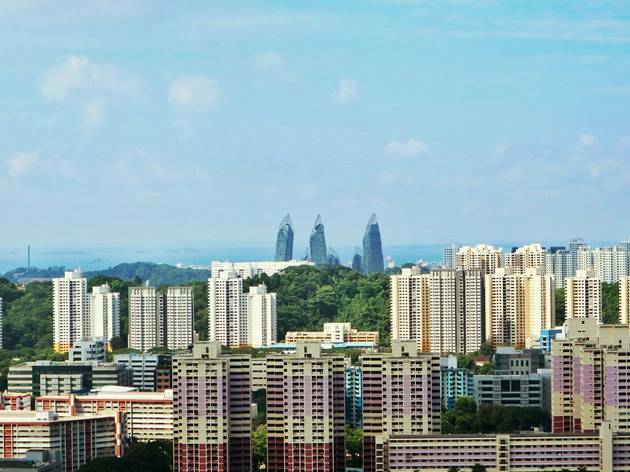 What was once Singapore’s sleaze central has smartened up big time thanks to classy new developments like Andaz, the National Design Centre and the modern National Library banch. While the area is evolving into a mini CBD, it hasn’t gone all business-like just yet. With its mix old-and-new, here are some of our new (and old) favourite haunts. 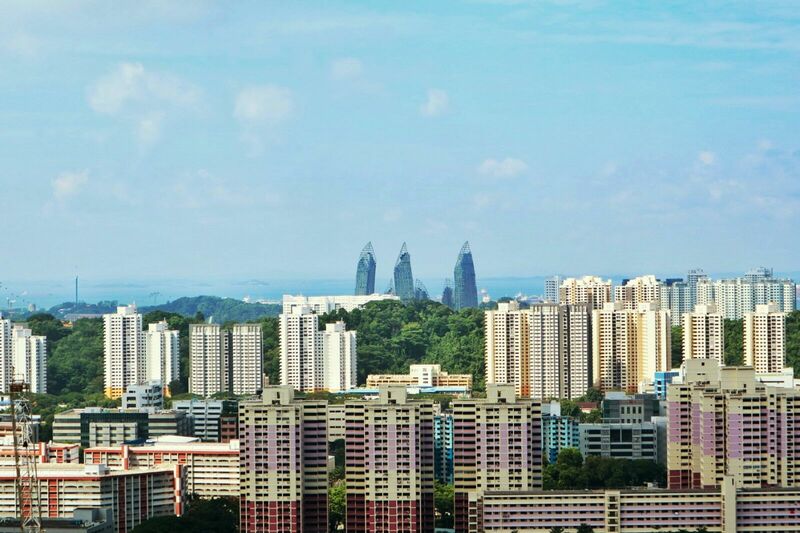 Still can't get enough of what this colourful neighbourhood has to offer? 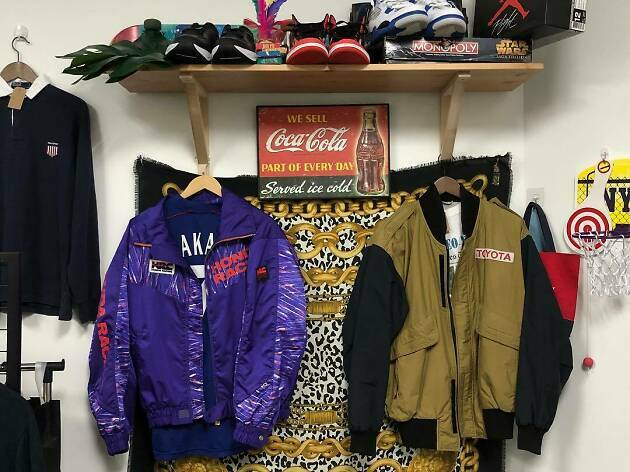 Check it out yourself. 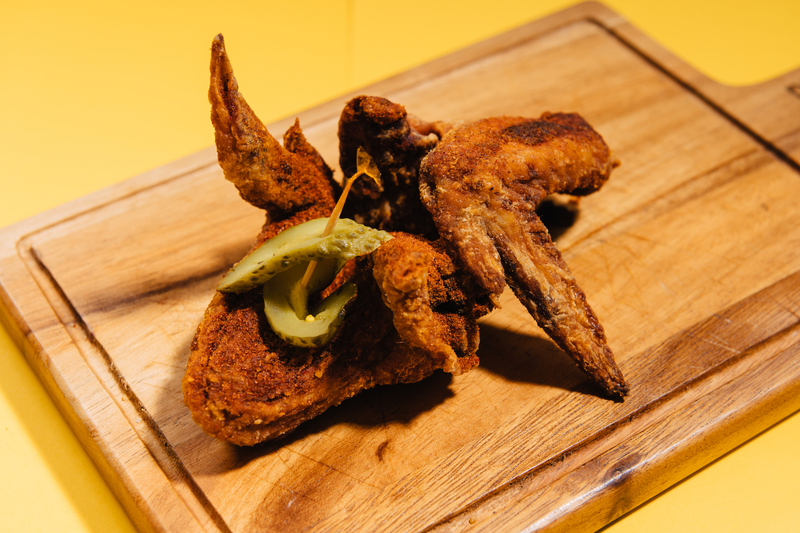 Think all American fried chicken is just KFC? Y’all got it wrong. Nashville-style country chicken is spicy as heck. 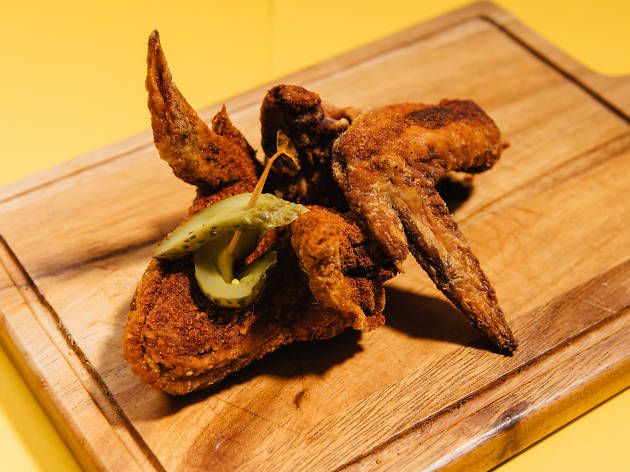 Nashville hot chicken is typically marinated in buttermilk, fried and doused with a heavy application of cayenne pepper (often in the form of some magical pepper-infused oil), along with other spices like garlic and paprika. It is sometimes served on the bone with white bread and pickles – possibly to take off the heat a little. Curious? 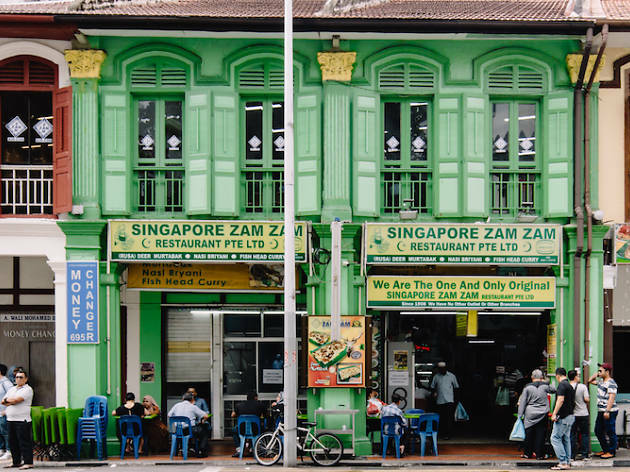 Save the plane ticket to ‘Merica, you can get some in Arab Street. 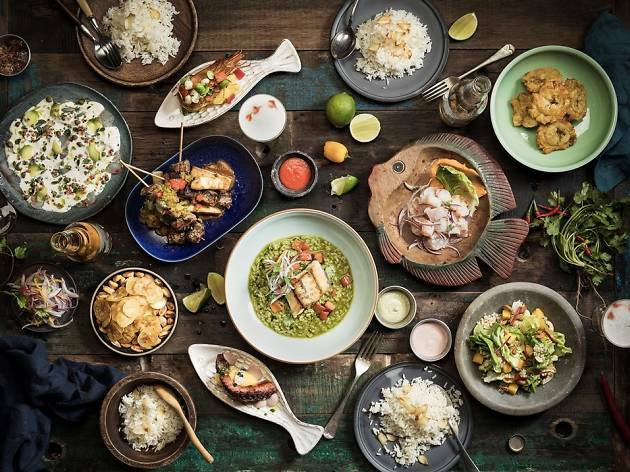 Peruvian food was all the rage in 2017, so it was just a matter of time an authentic Peruvian restaurant landed in Singapore. 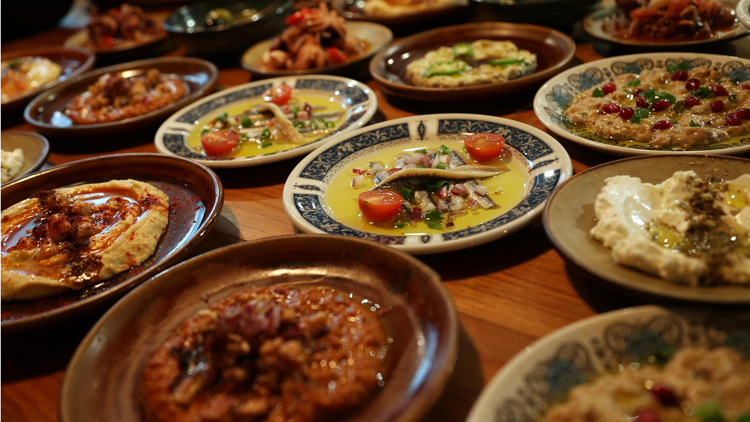 Started by Peruvian native Daniel Chavez, the food here is as intensely flavoured as it is diverse. 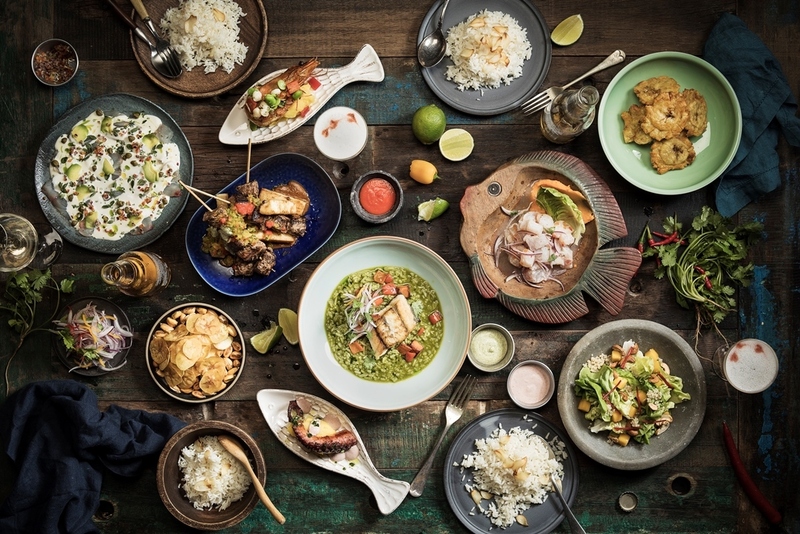 The ceviches – there are four types available – are a predictable crowdpleaser, as is signature dishes like the hearty Lomo Saltado and Plancha De Mariscos, a tastier version of bouillabaisse served with toasted quinoa and a subtly-spiced huancaina sauce. 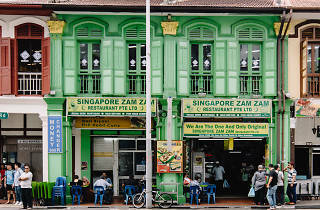 If it’s nasi briyani and murtabak you crave, there are fewer better places to satisfy those cravings than at Zam Zam. While we’re not big fans of the grungy shop house space (and the lingering grease in the air), it’s a small sacrifice to pay. 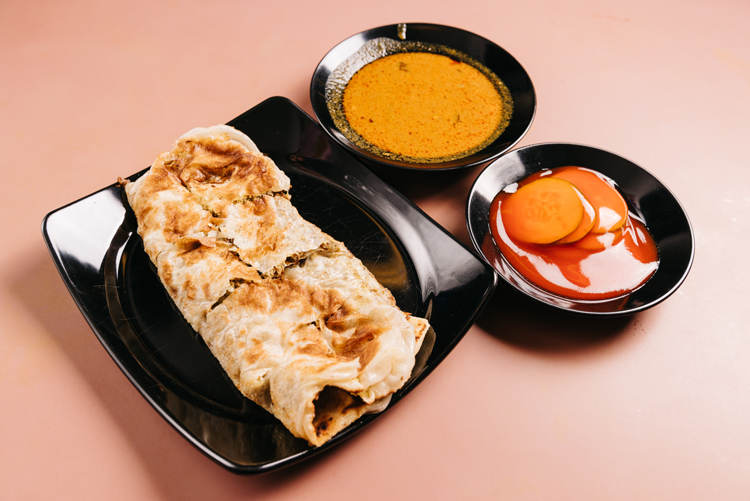 The crispy mutton murtabak ($5) delivers indescribable pleasure and the fragrant biryani (from $6) – cooked Hyderabadi dum style together with the succulent meat – is exactly how we like it. 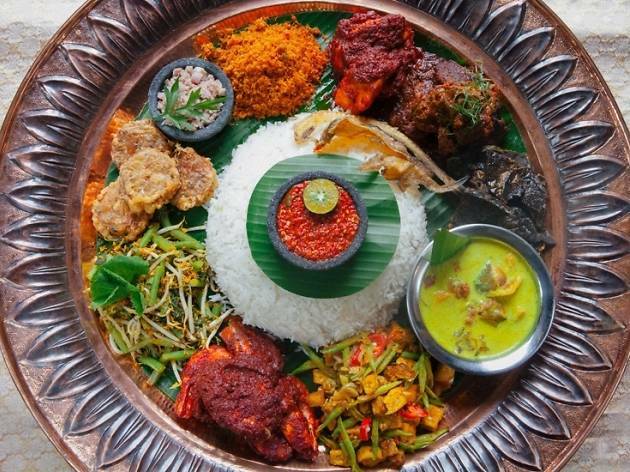 While nasi ambeng is currently enjoying a resurgence in the heartlands, Mamanda’s authentic version of this celebratory Javanese dish remains our pick. 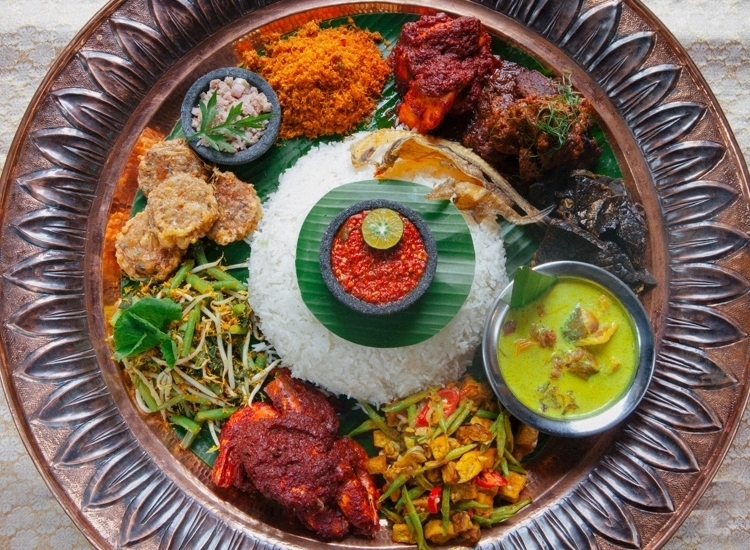 Located at the historic Sultan Gate, the restaurant’s palatial surroundings – it is housed in a mansion built in 1840 that was once home to Tengku Mahmud – befits this traditional meal of different meats and vegetables, like beef rendang, urap and sambal goreng served in a dulang (tray) and surrounded by a large mound of rice. If there’s one new-old bar to check out in the area, it has to be Atlas. 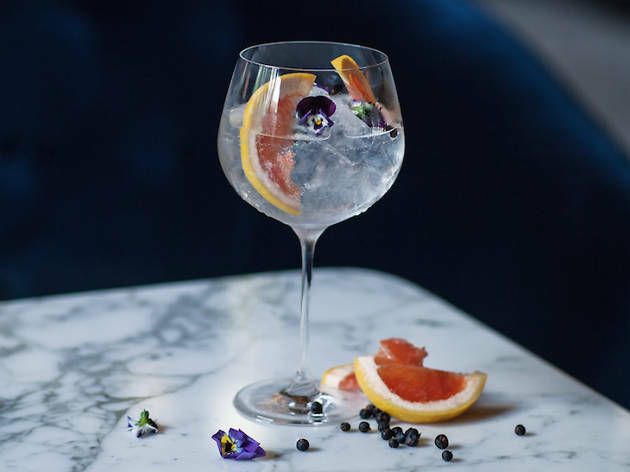 If not for the space – where else will you find a 45-foot-high ceiling decorated in elaborate Art Deco style – than for its extensive drink menu (it goes for about 60 pages, give or take) with over 250 Champagnes stocked, and 1,000 gins all prettily displayed in a floor-to-ceiling gin tower. While it’s all a little overwhelming, thankfully the plush leather seating is perfect for sinking into as you ponder your tipple of choice. We’re just glad they’ve gotten rid of the wine ‘angels’ – this makeover could not be more perfect, or overdue. 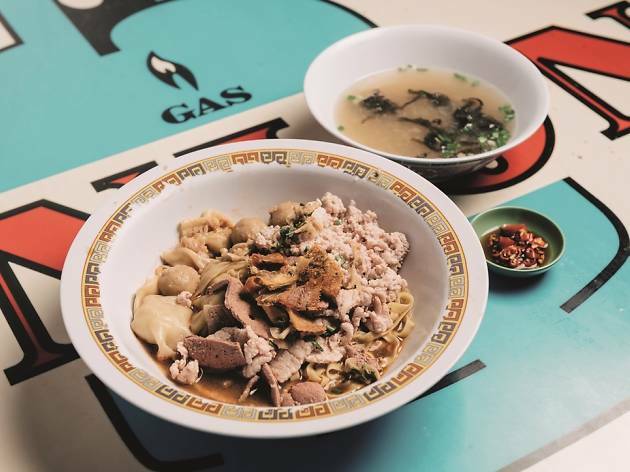 You could argue that this one Michelin star eatery isn’t quite in Bugis, but you’ll be splitting hairs. We’re just glad they haven’t gone all hoity-toity post Michelin award. 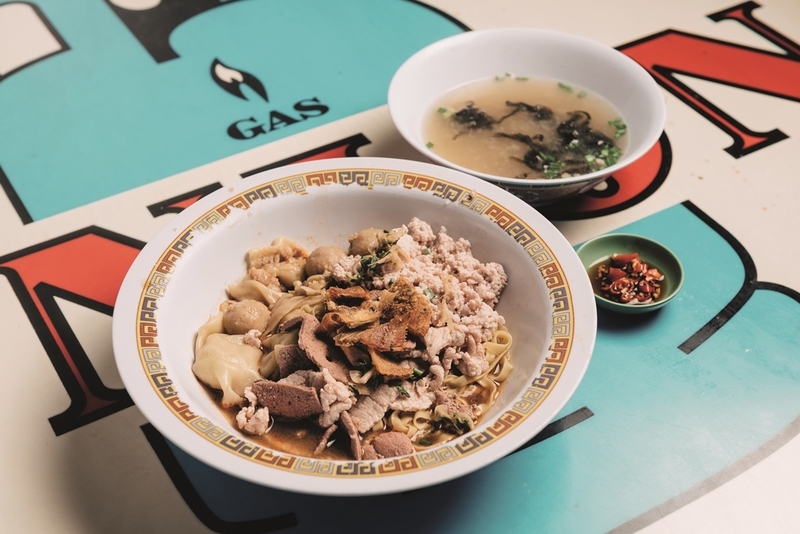 This $5 bowl of juicy minced meat dressed in chilli and vinegar and served with springy noodles is still one of the best eats to be had in the city. While the main man, Tang Chay Seng, isn’t always the one cooking, the standard remains consistent and the inimitable sauce perfectly balanced. Artichoke Café + Bar sits on the edge of the Bugis district, within the protective bounds of historical Sculpture Square. The eatery takes up one of the inner former chapel buildings, so despite being situated merely a few feet away from bustling Waterloo Street and Middle Road, the patio and slope-roofed L-shaped structure is almost immune to the throngs and the street traffic’s dust. Food wise, check out its popular dish known as Eggs Shakshouka ($20). Eggs are cracked onto tender, fall-apart chunks of fresh lamb and barely tart tomato stew made with lamb marrow stock. Served on the pan in which it was baked, the mixture can be scooped and soaked up by the accompanying boats of pide. A dollop of home-made labneh (strained yoghurt) quells the fresh, piping heat of this Tunisian dish. 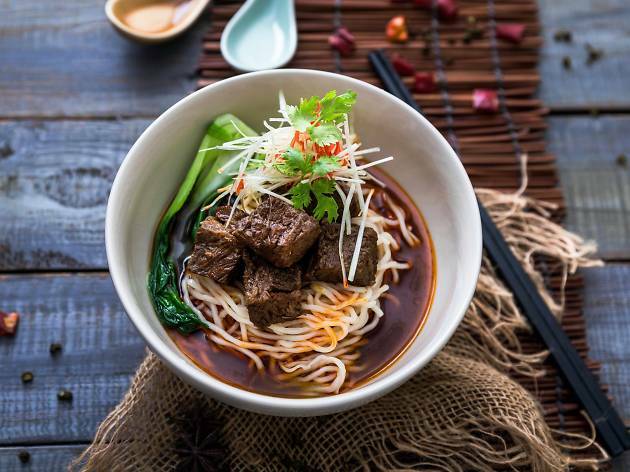 Treat yourself to an elevated street food experience at Alley on 25 – an all-day dining venue by Andaz Singapore. 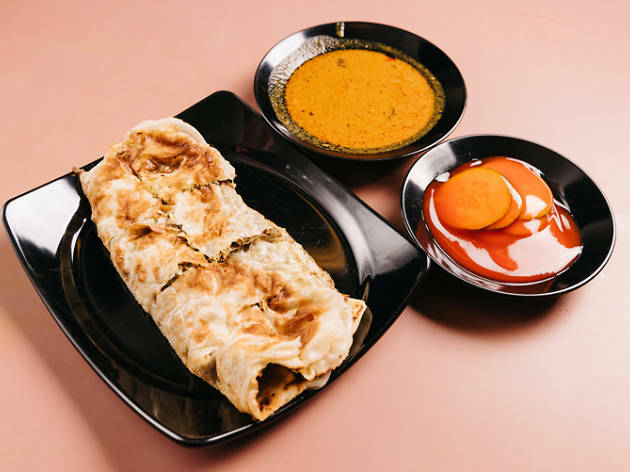 It comprises seven shophouse-inspired venues: a bar, a lounge and five restaurants each specializing in different cooking methods such as open charcoal grilling and cooking in a huge Beech oven. 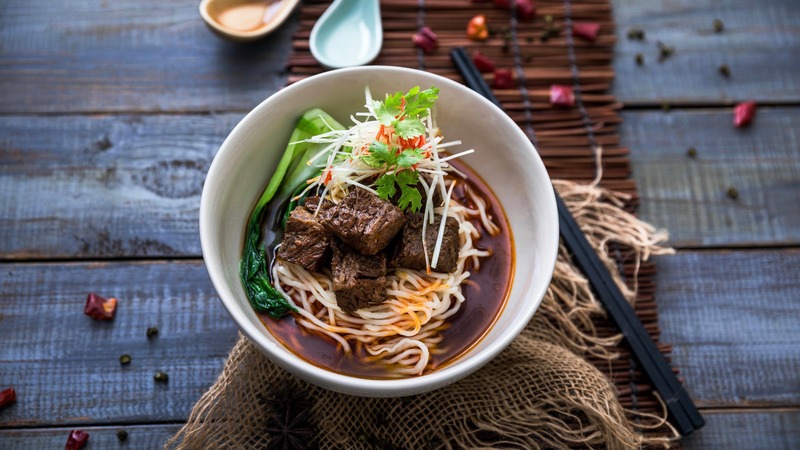 Star dishes include the double boiled beef short rib noodle served in a rich Sichuan broth ($18) from Auntie’s Wok and Steam, as well as the oh-so-sinful lobster mac and cheese ($35) from The Green Oven. 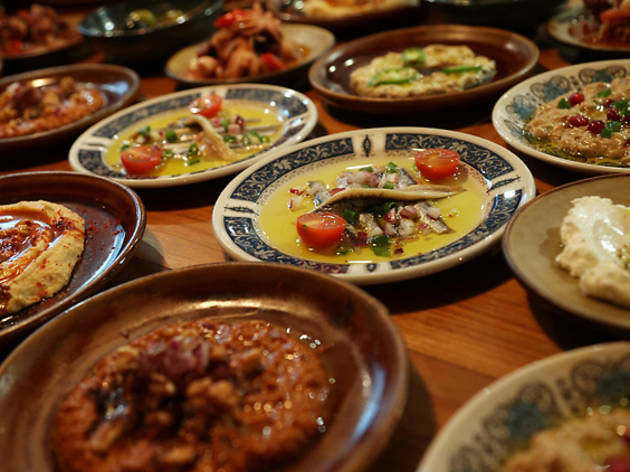 Plancha’Lah offers three dinner sets ($108-$148) for those looking for an omakase experience. End your gastronomic adventure with Icehaus' uniquely Singaporean Andaz Chendol Pop – a gula melaka coconut ice cream with red bean, caramel, pandan and white chocolate. Another signature creation by Icehaus is the pandan chiffon cake (S$14), which also comes in special glazes such as black sesame, durian and coconut. 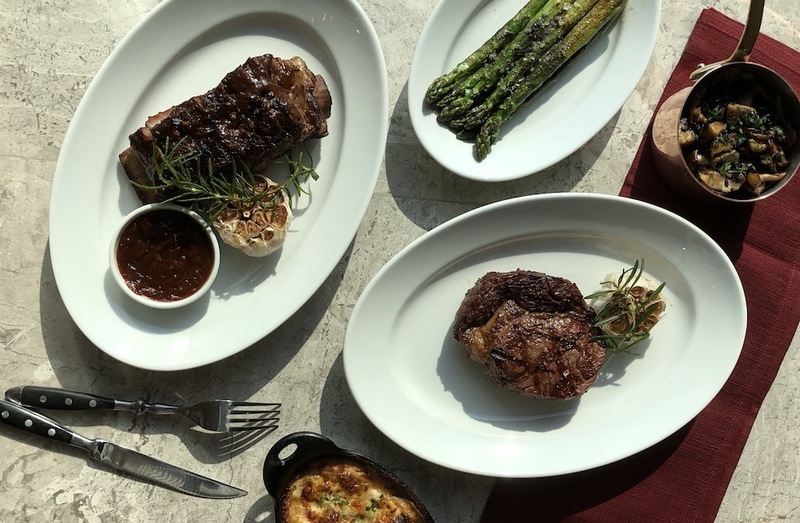 Named after the temperature of the Pira oven and grill that sits in the heart of a show kitchen, 665°F is a classic steakhouse dishing out halal-certified prime cuts and sustainable seafood. 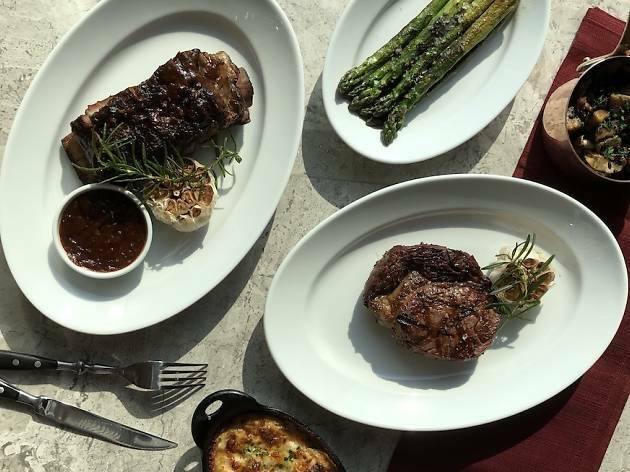 Perched on the 38th floor of Andaz Singapore, 665°F offers stuning views of the city below while you cut into succulent pieces of dry-aged, grass-fed ribeyes ($49), Australian lamb chops ($55) or a whole dover sole in burnt butter ($99). This branch of Tanuki Raw isn't set on a street-watching terrace, but there's still plenty of eye candy to look at. At the National Design Centre, a small clutch of tables seat diners next to the goodies brought in by retailer Kapok. 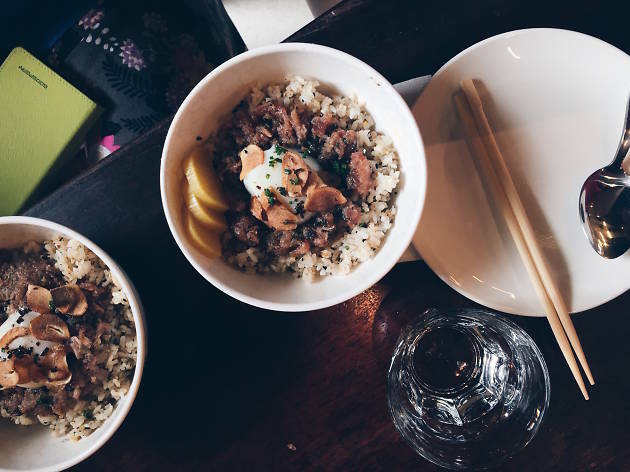 The truffle yakiniku don ($18) is the absolute must-try: juicy US Black Angus short rib is served atop rice, draped in a truffle soya sauce and crowned with a gooey onsen egg. Likewise, the negitoro ($18) is rich without being jelak. Marinated minced fatty tuna is seasoned with black garlic and Tanuki Raw roasted leek before being tossed with shio kombu and laid on a bed of sushi rice. For an extra bit of crunch, the café serves this bowl with fried, pungent black garlic chips. And those subjecting themselves to the #MeatlessMondays trend can take comfort in the spicy garlic miso tofu don ($14), whose cubes of bean curd remind us of agedashi tofu. Besides that, cuisine-bending sushi rolls and sliders are also on the menu. And dash out early from work if you have to – cocktails go for $10, oysters for $2, and any order of an alcoholic drink nets you a free lobster roll during the happy hours of 5 to 7pm. 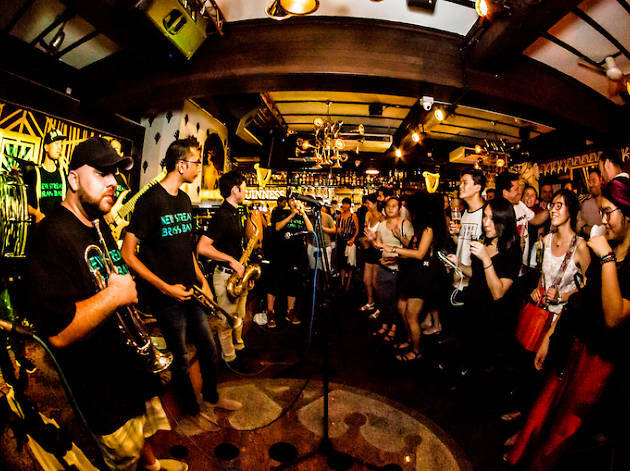 There’s so much to love about this homegrown live music café and bar that keeps evolving but never betrays its musical soul. 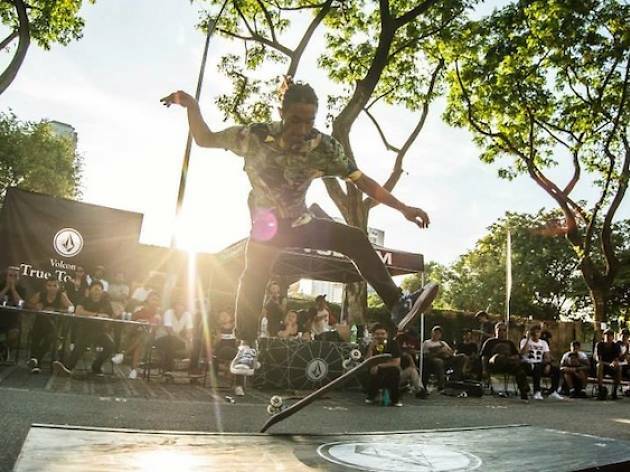 A multi-genre space – from jazz to hip-hop, R&B, to live DJ gigs and musical theatre open mic – the only thing consistent about it is its chilled vibe, reasonable drink prices, and that the music is always on point. 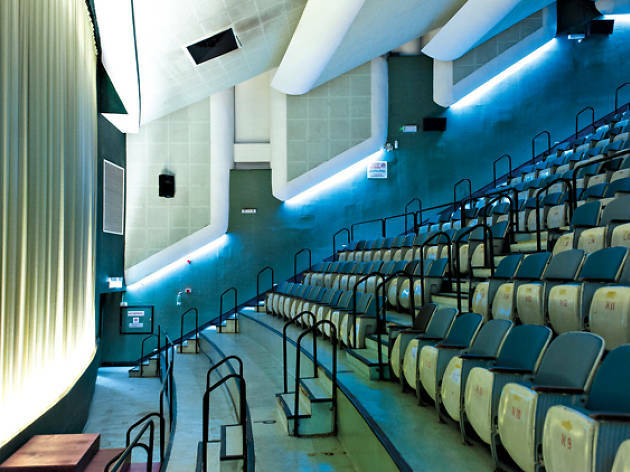 That you can catch non-commercial movies, retrospectives of real reel talent from Daniel Day-Lewis to Ingmar Bergman, tightly curated mini film festivals and LGBT-friendly flicks make this independent cinema one of our favourite go-to spots. It does help that you can drink (they’ve got wines and beers for sale) while you catch a screening. The Golden X The Great Escape rooftop bar for a pre- and post-drinks is always buzzing with the who’s who of Singapore’s creative set. 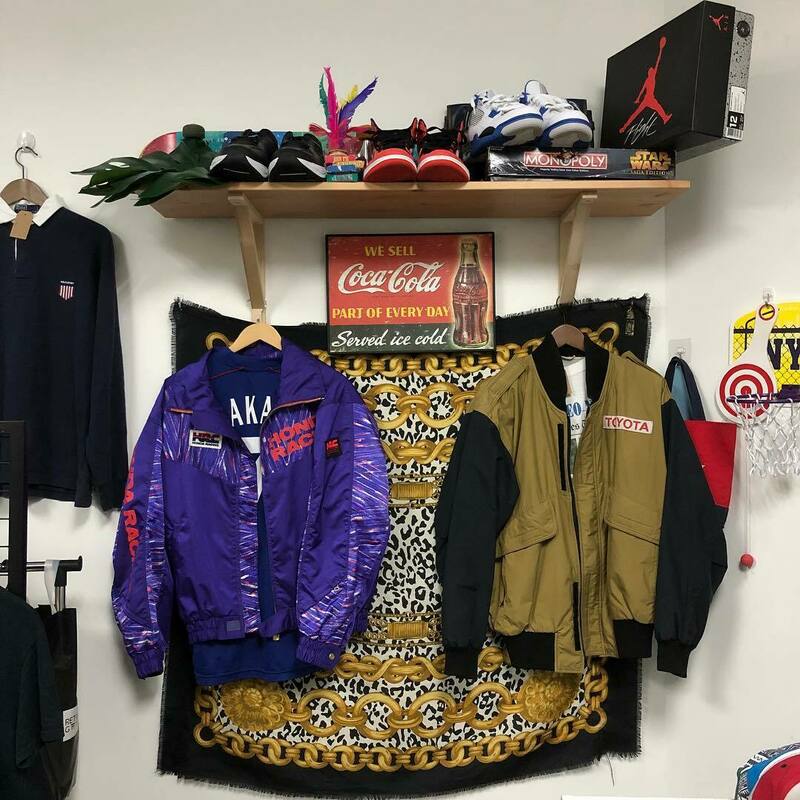 The name is familiar, the products heart warming (but not in a kitschy way) and their brand now global with the recent opening of a Tokyo store. 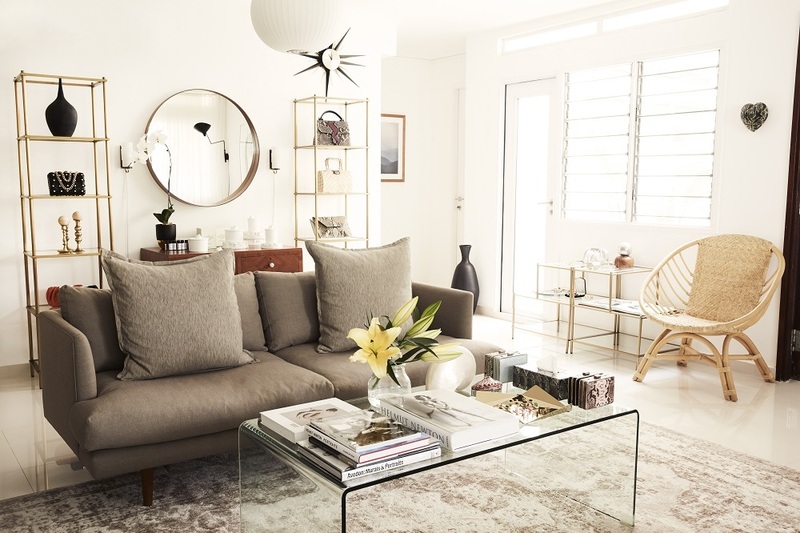 Ground zero though remains their Beach Road space, created to inspire one to “collect, create and curate objects”. 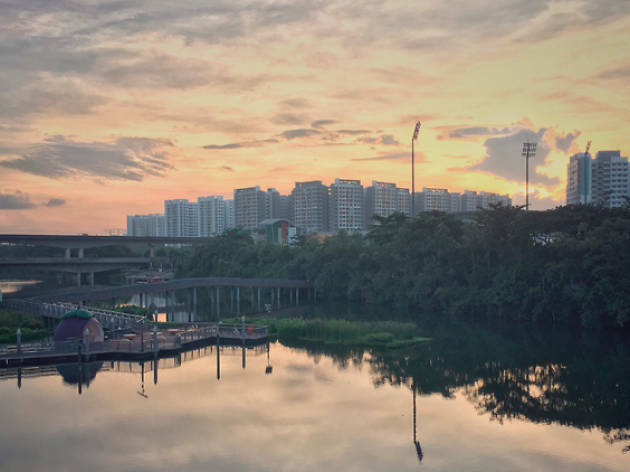 True to that premise, their beautiful porcelain blue and white plates emblazoned with uniquely Singaporean icons – the Singapore Flyer, the Merlion and the HDB or even Star Wars figurines – remain highly collectible (by locals and visitors) years on, evident by their often sold out status. 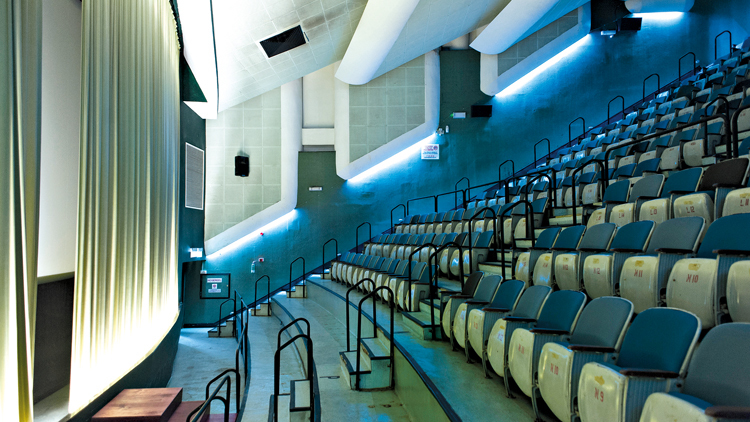 There’s always something going on at this versatile space that’s part art centre, part perfomance space and part co-working space. 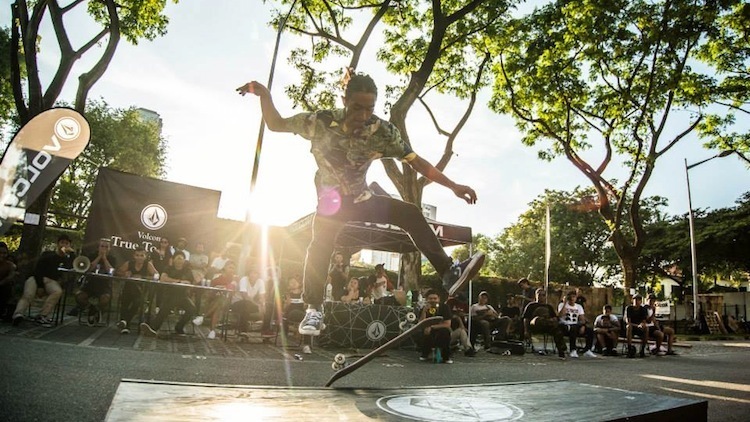 Home to the annual Aliwal Urban Art Festival and Aliwal Arts Night Crawl, the focus isn’t just trained on cool, street culture, they also hold workshops on topics as diverse as opera make-up, dance master classes and movement sessions. 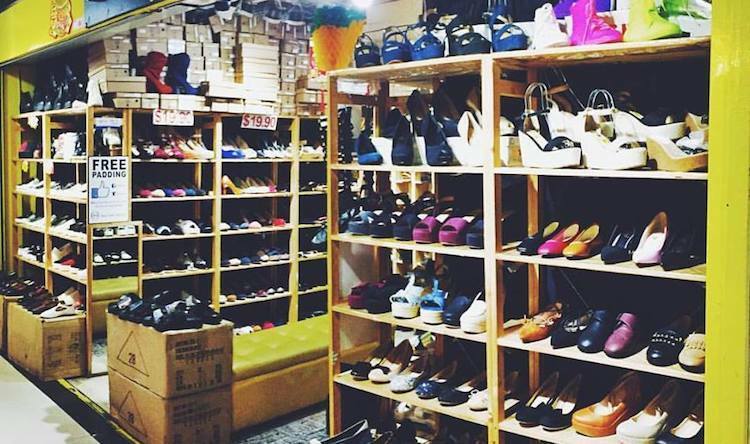 Just a stone's throw away from Bugis station lies a bargain shopper's heaven. 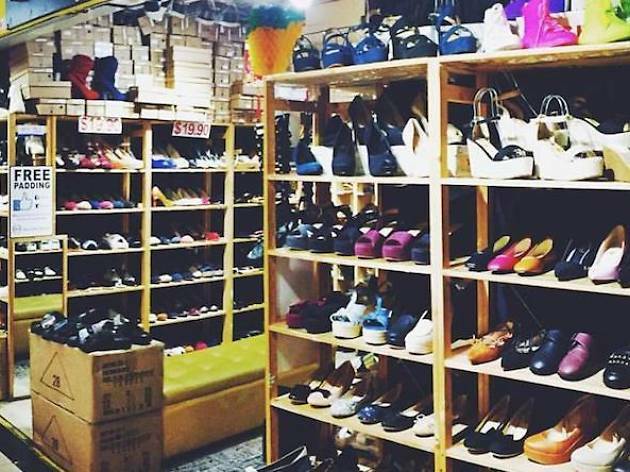 Bugis Street is the closest you'll get to a street market in Singapore – the first floor is non-airconditioned but we suggest heading straight up to the second air-conditioned floor to shop. 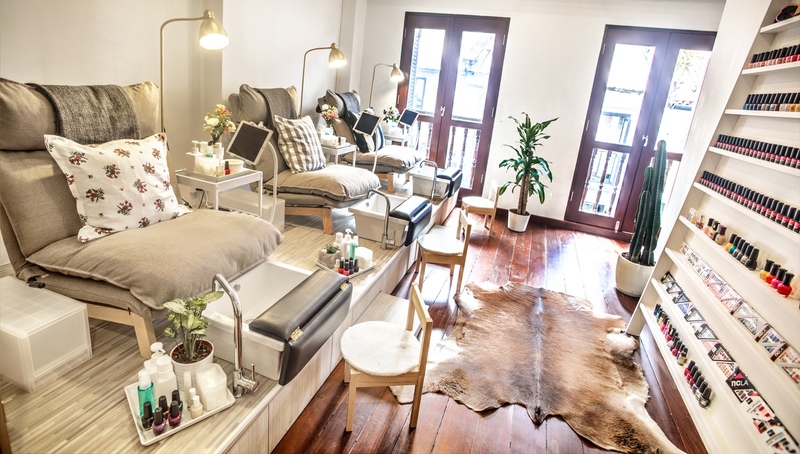 The most popular thing to do there, however, is to get your nails done in one of the many nail salons in the 'beauty aisle' – trust us, you'll know when you get there. Do sun salutations in gear that’s kind to the planet. 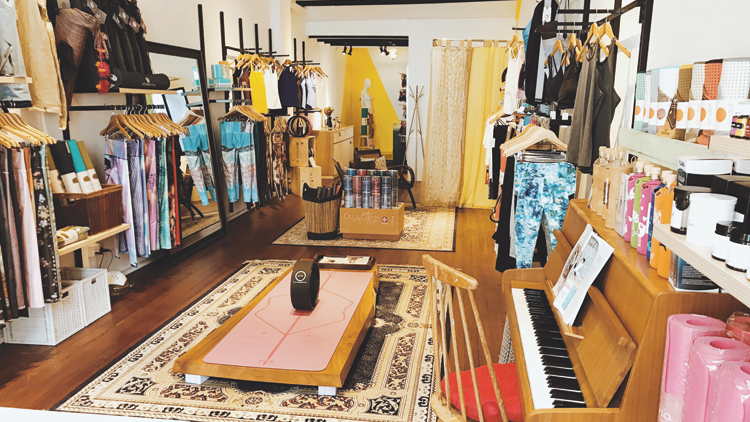 The first of its kind in Singapore, this eco-friendly yoga store carries labels that use only organic cotton, bamboo blends, recycled or upcycled materials – and all are sustainably produced. 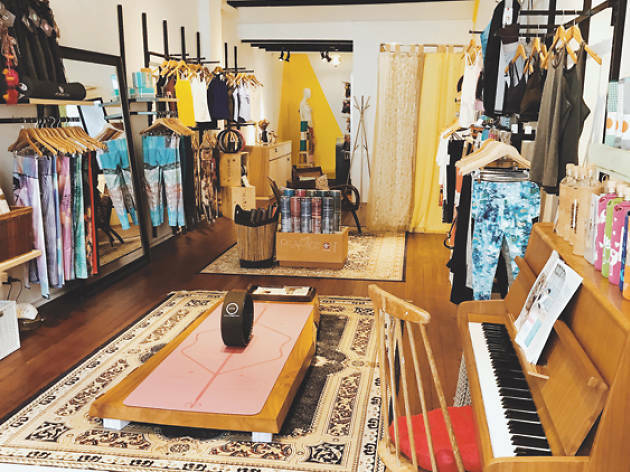 Owners Kelly Hotta-Moung and Wuen Lin Tan met at Absolute Yoga’s 40-day Challenge event and, after surveying the session’s range of attire, realised there was a gap in the market for fashionable yet eco-friendly clothing for ‘yogies’. Brands on offer include Teeki, Manduka, Liforme and Yogitoes. There’s also a full selection of yoga mats and accessories, along with charming handmade artisanal jewellery. 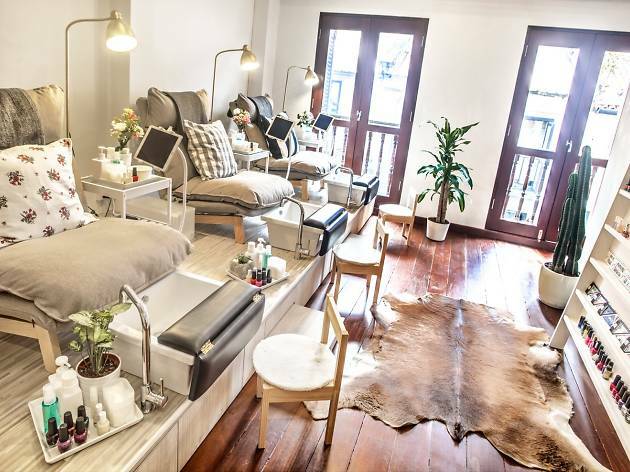 There's no lack of nail salons in Singapore but if you happen to be in Haji Lane, check out The Nail Social, which, as its name suggests, is a socially conscious salon offering manicure, pedicure and foot massages. Founders Cheryl Ou and Germaine Monteiro set it up in 2014 with the aim of employing and training underprivileged local women. The pair was experienced nail technicians prior to setting up The Nail Social, and they make sure each customer feels at ease: there’s no lack of conversation, but you’re left to your own devices if you’d prefer things that way. Variety is the operative word here. There are close to 100 colours in both the regular and gel ranges – you’ll have to shell out another $3 for Halal polish, though. Guests also receive an iPad loaded with Netflix, games and books. And you can’t knock the free homemade lemonade and wine (the latter only on Fridays and Saturdays). 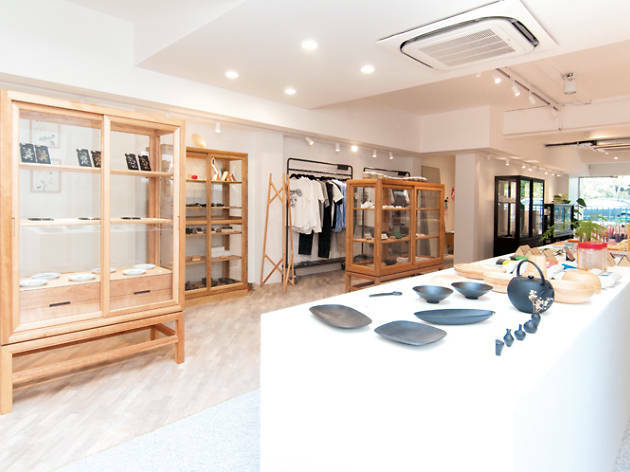 Founded in 2006 by Frenchman Arnault Castel in Hong Kong, Kapok curates fashion and design brands in its Singapore outlet, their largest flagship store in the world. 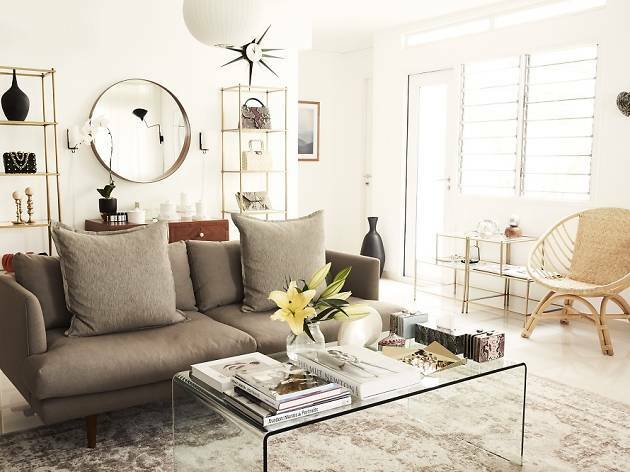 Patrons can expect watches by Swedish label Daniel Wellington, Miami-based accessories from Miansai, Code Deco perfume and an in-house brand of menswear shirts. 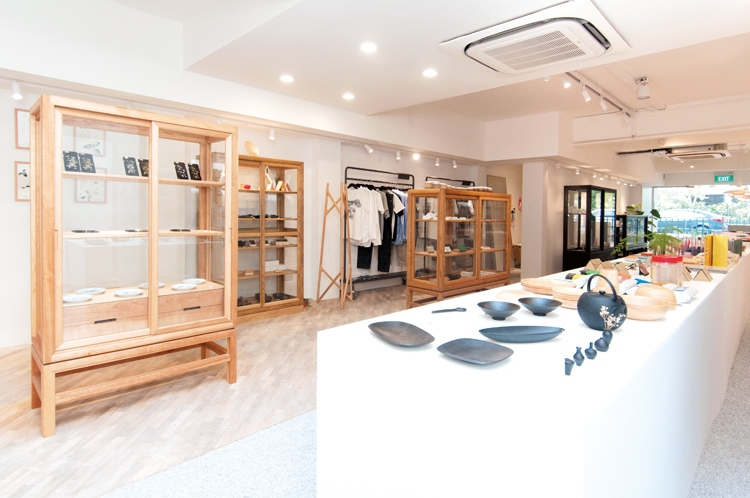 The spacious boutique is decorated with art pieces by Kult and shares the space with Tanuki Raw. Located at the historic Istana Kampong Gelam, this museum traces the history of the Malay community from the days of the earliest settlers and the sea faring might of the Bugis villagers to the golden years of the Malay entertainment industry. 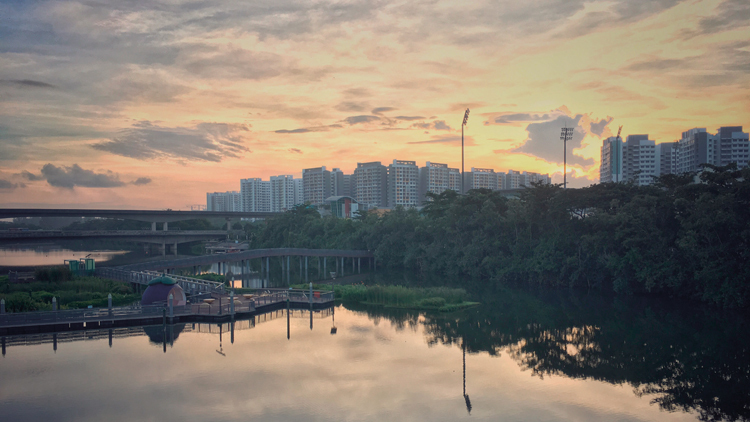 Featuring six sub-galleries, exhibits include the history of Kampong Gelam and contributions made by various Malay pioneers.